Nearly everyone has at least one mole on their body, but most people have between ten to fifty moles at any given time. While moles are very common, and for most people they are harmless, having moles can prove to be problematic for many people. While most moles are harmless, they can be unsightly and some can even become dangerous. If you have moles on your body and you’re looking to have them removed, either professionally or in the comfort of your own home, please keep reading to learn more about how to successfully remove your moles. How Do Doctors Remove Moles on the Skin? What is the Most Effective Mole Removal? Getting a mole removed professionally is an extremely safe way to permanently remove it from your skin. Professional mole removal includes surgical procedures such as excision, freezing, radiotherapy, or cauterization in a sanitary medical office. Click here to learn more about mole removal surgery. Professional mole removal is the recommended way to have a mole removed, as it reduces the risk of complications that might follow after a mole removal procedure. The mole is suspicious and needs to be removed for your health. They need to take a sample of it to send out for a biopsy. The mole is getting irritated or infected because it’s rubbing on your clothes. If you try to remove a mole at home, you run the risk of developing a permanent scar, especially on a noticeable place such as your face. To learn more about mole removal at home, click here. Another reason you should not remove a mole at home is that the doctor may need to take a sample of it (called a “biopsy”) to send to the lab to make sure that it is not cancerous. If you have a mole, the best thing for you to do is go to the doctor to make sure it’s benign and not malignant. There are several techniques that a doctor can use to remove moles from your skin. They may decide to sear it off with heat or go completely in the opposite direction and freeze it off permanently. To learn more about freezing moles off, click here. Regardless of the method that your doctor chooses, you can be confident that they made that decision because they knew based on you and your own skin, it was the best option for you. There is no one perfect way to remove a mole. Doctors have several different methods that they prefer to use because, just like every person is unique, so is your mole. For instance, lasers are great on flat moles, but would not work as well on a compound mole. A compound mole, on the other hand, can be removed with shave excision. Cauterization: This includes removing the mole with heat. Doctors use a special tool to “burn” the mole off permanently. This also helps prevent unwanted bleeding. Click here to read more about cauterization for mole removal. Lasers: The best moles to remove with lasers are dark and flat moles. This uses concentrated laser energy waves to “zap” the mole. This may take several appointments to be successful. To learn more about laser mole removal, click here. Radiowaves: This method uses electromagnetic radiation to remove your mole. People who use pacemakers are not advised to use radio waves. Click here to read about removing moles with radiowaves. Cryotherapy: Cryotherapy uses liquid nitrogen to freeze your mole off. A blister forms first, then the mole falls off after several days. Read more about how to remove moles with cryotherapy here. Surgery: Surgical ways to remove moles include shaving excision (using a scalpel to cut it off), surgical excision (cutting around the mole with a scalpel), and a punch biopsy (using a special device to “punch out” the mole). To learn more about how to get rid of a mole with surgery or other methods, click here. Depending on the method your dermatologist or physician uses, the price of the procedure may vary. Certain procedures may be more affordable or expensive than others. To learn more about the cost of removing moles, click here. The best procedure for mole removal depends largely on your goals. A biopsy to send to the lab for a sample. Cauterization on a compound (raised) mole. Lasers for painless removal small, flat moles. There is no one “perfect” way to remove a mole, but if you have a specific goal when removing it, you can decide on one way versus a different method. For more information on how to get rid of skin moles, click here. If you do not want to surgically remove a mole, you can remove it safely and with finality in the comfort of your own home. There are a variety of creams that you can buy over the counter that can allow you to remove your mole without needing to spend a lot of money on surgery. Find more about how to remove moles here. Check with your doctor to confirm your mole is benign. Once you know for sure your mole isn’t cancerous, you can move forward with the mole removal. 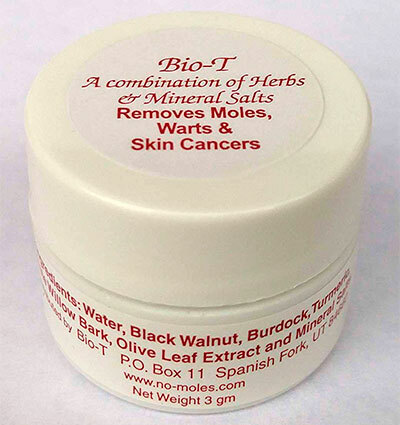 There are several mole removal medicines that you can buy in any pharmacy or big-box store. 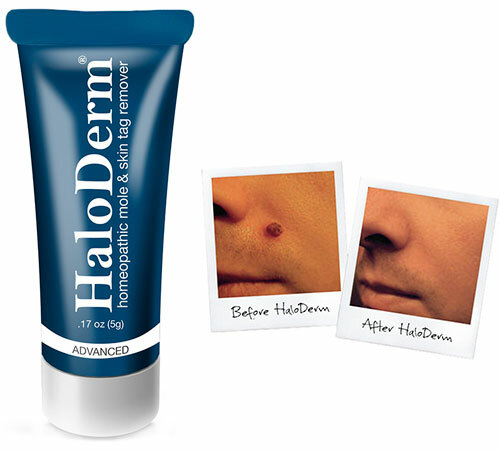 Learn about the best mole removal cream here. 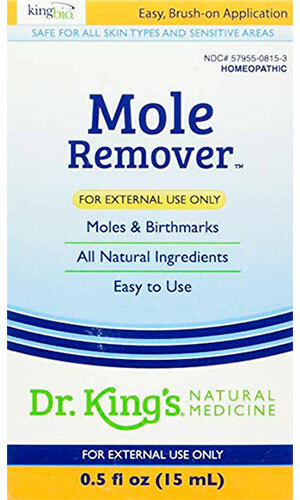 Follow the instructions on the back of the bottle carefully to remove your mole. If you notice any signs of irritation or infection, stop using them immediately and consult your dermatologist or physician. 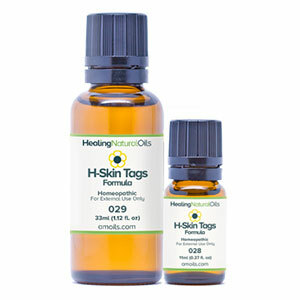 You can also use these medicines on your skin tags to successfully remove them. To learn more about the best skin tag removal, click here. For people who don’t want to rely on invasive surgery or creams, there are other, all-natural ways to remove moles. These include using ingredients you could find in your kitchen, making them a good alternative to other methods. Apple Cider Vinegar: Use a drop of apple cider vinegar on a cotton ball and press it against your mole. Cover it with a bandage and change it daily until your mole vanishes. Tea Tree Oil (TTO): Use a mixture of 25% TTO and 75% olive oil and dab it on your mole. Use a bandage to protect it and use until the mole removes naturally. Iodine: Apply a drop of 5% iodine to your mole. You can cover it with an adhesive bandage. Do this daily until you no longer have a mole. Garlic: Crush a clove of garlic into a paste and press it to your mole and cover with a bandage. Change daily until your mole is gone. Just because these methods use natural or organic ingredients that you could already find in your own home, use caution when trying them. Just because something is safe to eat does not automatically mean that it is good for you. An allergy can arise out of nowhere and can be life-threatening if left untreated. If you notice any signs of an allergic reaction when trying these methods, stop immediately and call your doctor. Monitor your moles daily. If you prefer, you can change your bandages morning and night for faster results, but if you notice irritation, then reduce or stop using the tinctures completely. You can learn more about clear your skin from moles here. The best way to remove moles may surprise you. If you want to make sure you never have to worry about moles, your best bet is prevention! While moles are mostly genetic, they often arise from sun damage. By preventing sun damage from occurring you can prevent moles from forming. Using SPF 50 when outdoors. Wear long sleeves and a hat when outside. 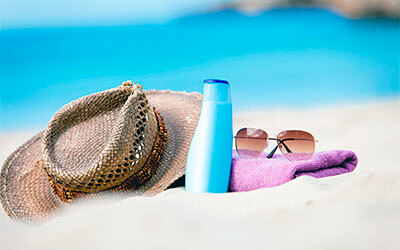 Avoid sun exposure from 10:00 am – 4:00 pm. This advice can save you a lot of embarrassment, pain, and possibly cancer in the future. To learn more about mole prevention, click here. While moles are extremely common, they can bring with them a huge assortment of problems to those who have to deal with them. They can be large, hairy, and unsightly. Having a prominent mole does not automatically mean that you are unattractive, but if you wanted to remove a mole to improve your appearance, then you can do so with confidence and knowledge that you are doing it both safely and permanently.